When you think of romantic music, you think of ... baritone saxophone? Well, maybe not. 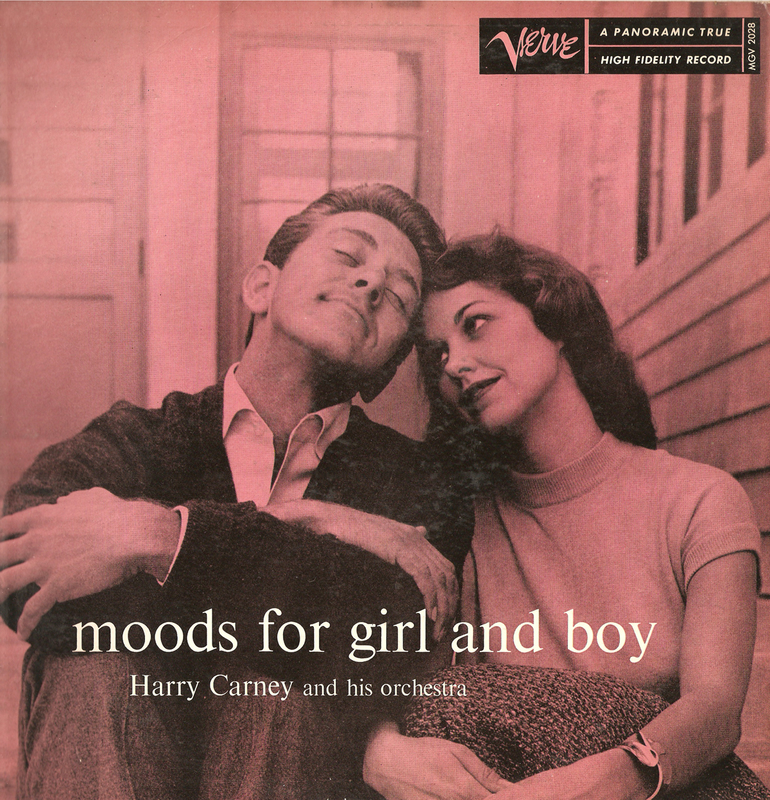 But you might, if you think of Harry Carney, Duke Ellington's long-time bari sax player. 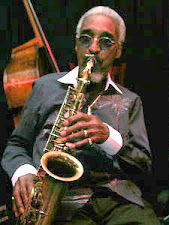 Carney came from Boston, as did Johnny Hodges, where he and the Rabbit were childhood friends. 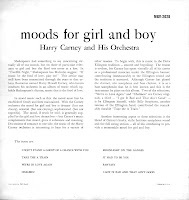 Harry had just turned seventeen when Ellington heard him playing with a local band and, after obtaining permission from Carney's parents, took him on the road with his orchestra. Carney played clarinet with the Duke at first, but soon was featured on the big saxophone. He never looked back, and he never left Ellington's sax section. 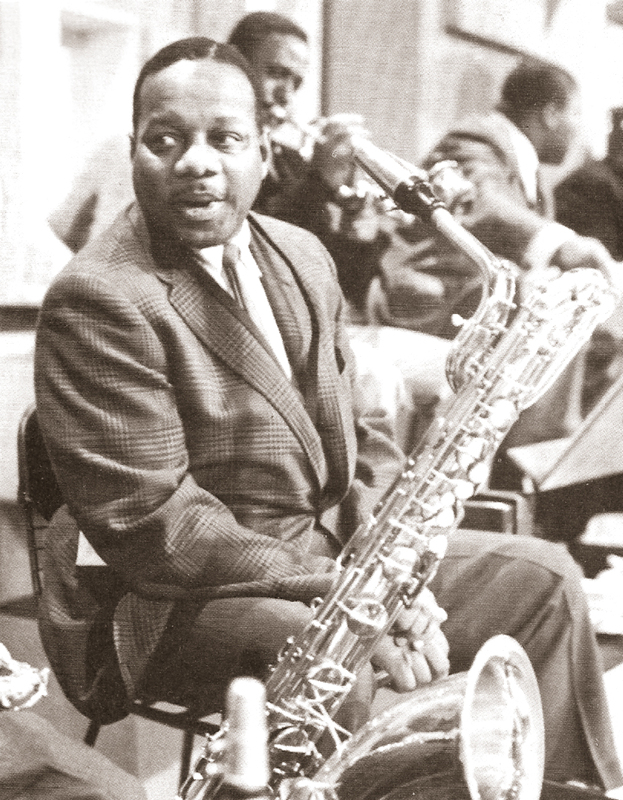 He is, by most estimations, the father of modern baritone saxophony. Carney only recorded a few times as a leader, and only issued two LPs in his lifetime. The one Gems is posting here comes from the mind of impresario and producer Norman Granz, another of the concept recordings that were so successful for him and his musicians. 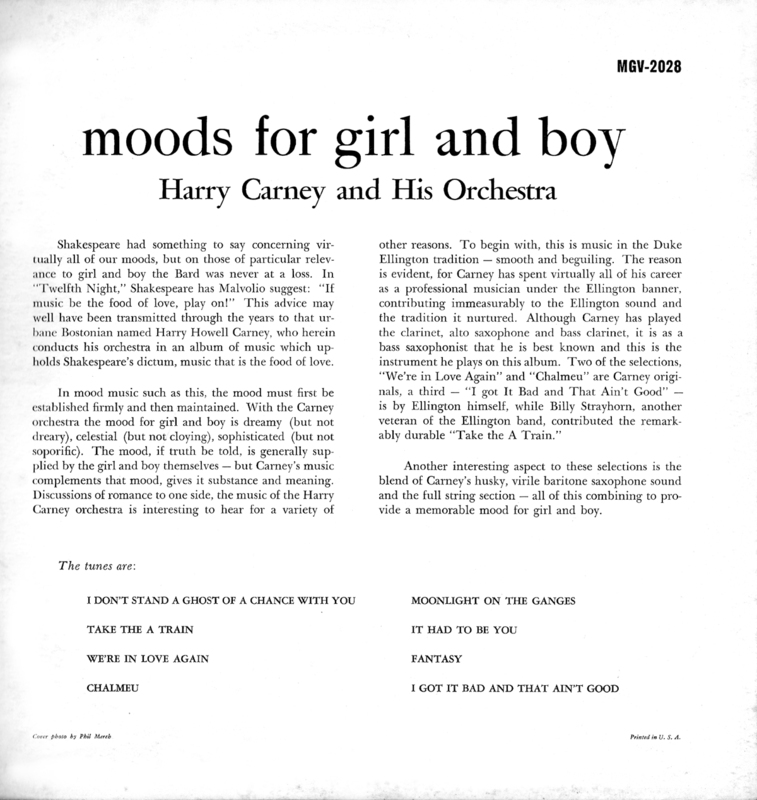 It features Carney in a ballad setting with a number of excellent jazz players and a conventional but supportive string section. 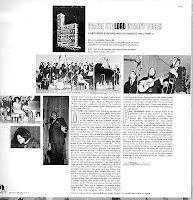 No credit is given for the arrangements, but they were probably done by one of Granz's many studio arrangers – maybe Howard Lucraft or Frank DeVol. The mood is intended to be romantic, no doubt a ploy to rope in the unwitting record buyer. But the results are far better than you might expect. This is a stunning record. There are many solos from Harry, plus some fiddling by Ray Nance and a generous dose of fine clarinet playing from Jimmy Hamilton. The material is familiar (with the exception of the two Carney originals), but the treatment breathes new life into it. You'll be sorry if you pass this one up, brother! I found this LP many years ago at one of the first record sales held by the radio station where I work. Why someone would dump this gem is beyond me, but I'm certainly glad they did, and now you will be too. As always, these files were ripped from the original vinyl with only a very minor cleaning of random pops and clicks. Multi-reed instrumentalist Jimmy Ellis is well known in Chicago for his sinewy post-bop alto playing, but he is largely unheard of everywhere else. Why is that? I don't know, but it could have something to do with the fact that he has never recorded (that I aware of). Why that is, I also don't know. I suppose the same thing could be said of Jodie Christian, though he's made numerous records as a sideman. Not Jimmy, though. 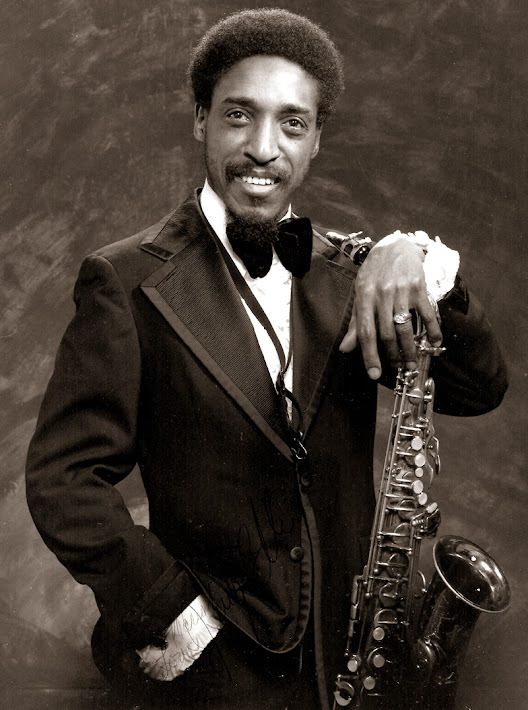 I first met Jimmy when I worked with a jazz club producing concerts at Northwestern University in 1979. He'd been recommended as an excellent player and a very together leader, and he proved to be that and more. We arranged to present his quartet and another band in a concert at the university and, in order to promote the show, did an interview with him at his Hyde Park apartment that we later broadcast over the student radio station. Jimmy gave me a tape of his group playing at a local club so that we could mix in some music with the conversation. The concert was a big success, and Jimmy Ellis was quite as pleased as we were. He knew that we were into the AACM, so to celebrate he presented us with what he laughingly called an avant garde piece – a tape of himself improvising on soprano to the rhythms that his clothes dryer produced. I still have it somewhere – a hoot! We didn't record the concert (that I can recall), but I did hold on to the quartet tape Jimmy gave me. I think you'll be interested to hear the unsung reed man from Chicago. His style is sparser than that of most Eastern boppers, more bluesy and vocal but with a kick to it. The tape only contains two tunes, so instead of posting them as a download I'll simply put in the players below. One piece is Dizzy's "Night in Tunisia" and the other I believe is "The Night Has a 1,000 Eyes." The performance could be from a date at the Bee Hive, probably from around 1974 or '75. Jimmy's on alto, and Al Jenkins is the pianist with Shante Hamilton on bass and Bill Yancy playing drums. 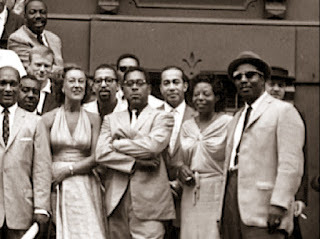 By the way, shortly after the Northwestern concert Jimmy Ellis and his quartet played at my wedding – a very swinging affair! I first learned about Mary Lou Williams when I came across a 78-rpm album of hers on the Asch label at a library sale in Ithaca, NY. I was all of 19 and new to jazz, and she was the first female instrumentalist I'd encountered. The records were trio sides done in 1944 with bassist Al Hall and trumpeter Bill Coleman, and they made me a life-long fan. I learned much later that the Asch date sported one of the first jazz covers done by famed illustrator David Stone Martin. He and Mary Lou had met when she was playing at Cafe Society a year earlier and had become lovers. But that's another story. name them all? A still from "A Great Day in Harlem." Mary Lou Williams' career was an exceptional one. 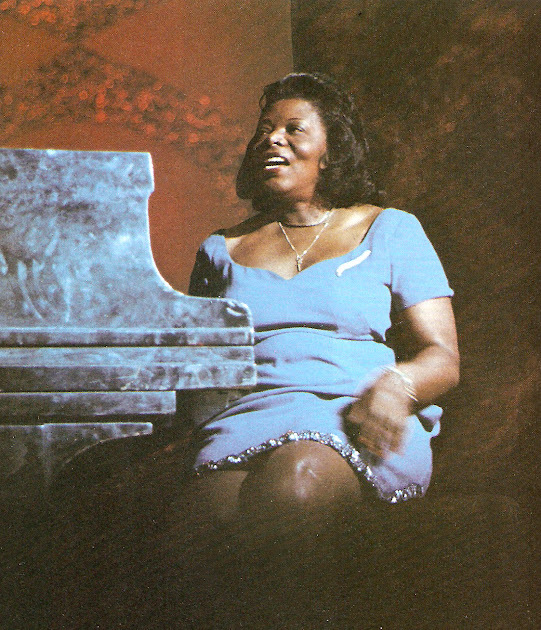 Married in her teens to reed man John Williams, she played first in his band in Memphis and then gained a seat in Andy Kirk's KC aggregation when the band's regular pianist failed to show and Ms. Williams was enlisted to fill in. She spent the next decade with Kirk, doing the band's arrangements, composing many of its most popular tunes, and performing as its featured soloist. In the '40s, she moved to New York City and established a salon of sorts for young, up-and-coming players like Bud Powell, Dizzy Gillespie, Charlie Parker and many others. In the late '50s she left music after converting to Catholicism and worked to help musicians overcome drug dependencies. She eventually returned to performing in the late '50s at the behest of Dizzy Gillespie and had a productive career as a modernist for another two decades. 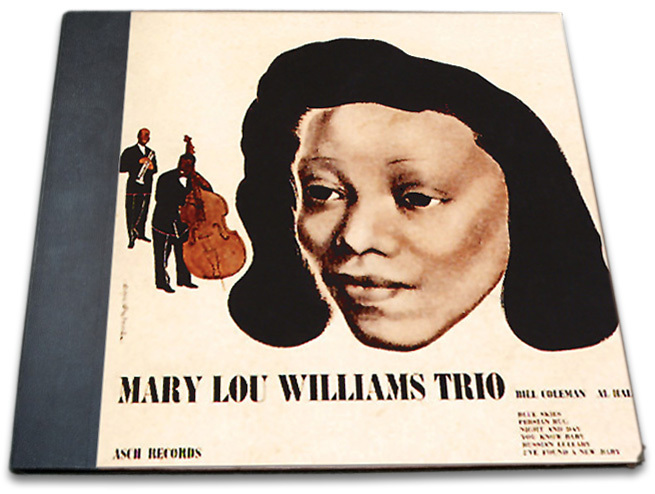 As it turned out, Mary was Mary Lou Williams. At this point in her career – this was 1980 – she was routinely doing a truncated "history of jazz" as part of her performances. She would start with spirituals, move to ragtime, then blues and swing, and finally conclude with bebop. Each era was represented by Mary Lou's marvelously intricate playing. Each tune was not a particularly faithful or even close recreation of the style it was meant to illustrate but more a portrait of Ms. William's own journey through the evolution of jazz. Mary Lou was game for just about anything in those years, and she even recorded her history of jazz in duet with Cecil Taylor in 1977. Apparently Mary Lou Williams had done a version of her history for Catholic TV. The video is probably on a dusty shelf in a storage room somewhere in Chicago, but the audio is offered here in this post. 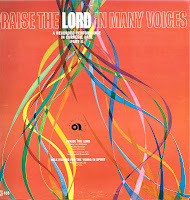 As it's only about 20 minutes in length, I've added another rare recording of Ms. Williams from a Carnegie Hall date with Honi Gordon, Leon Thomas and the Interfaith Chorus. It was issued on the Avant Garde label (an imprint of the Vanguard company) and probably sold all of a dozen copies. Despite the verbose announcer, the music is first rate with lots of piano from Mary Lou. 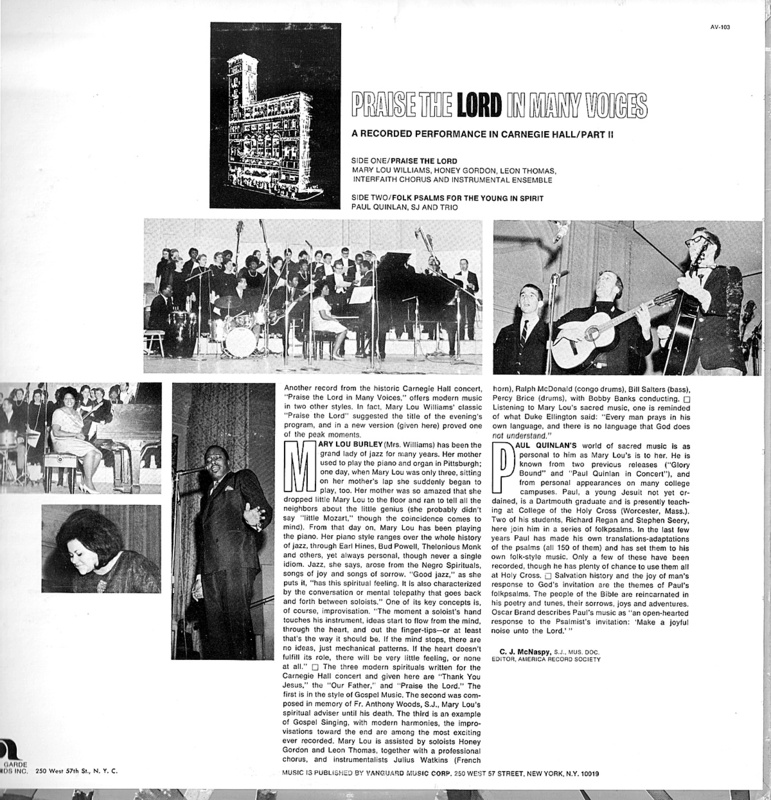 Honi Gordon – Mingus's favorite vocalist – gets in a glorious rendition of the Lord's Prayer as arranged by Mary Lou, and Leon Thomas avoids the yodeling gimmick that made/marred many of his later performances. This performance, in a small way, ranks right up there with the sacred music concerts of Duke Ellington. As always, the files here were taken from the original analog audio sources with just a very minor cleaning of the sound. The Catholic TV dub retains the test tones and studio chit-chat that appeared on the original. I've included only side one of the Avant Garde LP as the second side features a folk trio – not of interest here. 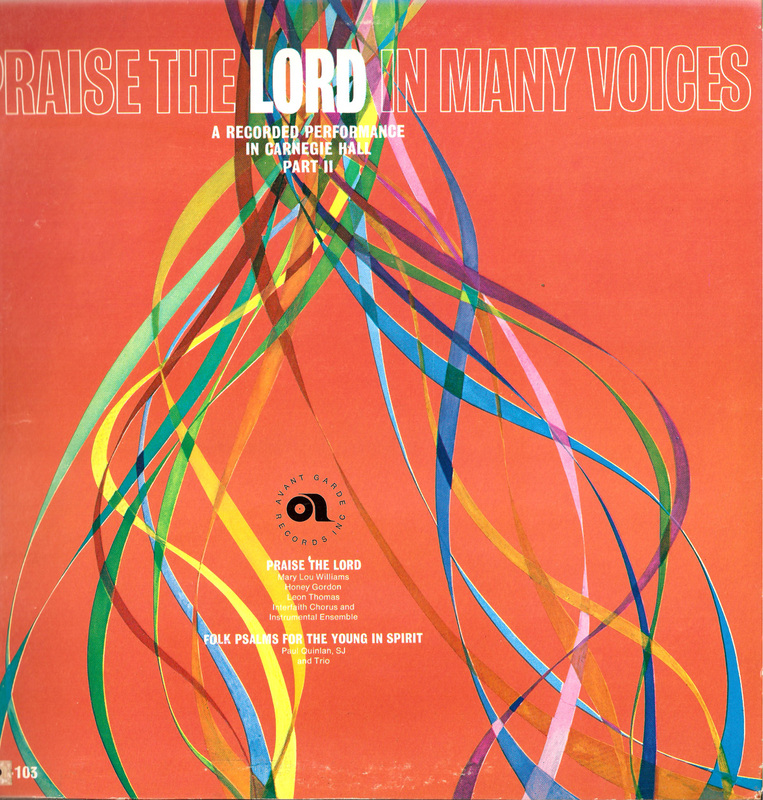 Mary Lou Williams, p; Julius Watkins, frh hn; Bill Salters, b; Percy Brice, d; Leon Thomas, Honi Gordon, v; Interfaith Chorus, v; Bobby Banks, cond; unknown emcee.